At the start of the Neolithic Revolution, populations were rising fast, but that didn’t necessarily mean life was getting better. At the same time populations grew, life expectancy was going down. How could that be? This was the puzzle that confronted IACS 7th and 8th graders as they began their project in Social Studies. 8th graders who were already familiar with Systems Thinking modeling knew that their teachers wouldn’t be giving them the answers any time soon. It would be their job to try to come up with a model that would explain the contradiction. Students work in groups to build models that explain how it is that the outcome for individuals can be worse even as society progresses. Modeling everything they’ve learned about Neolithic societies would be far too complex, so students have to decide which elements of society play the greatest role in the puzzle they are studying. Working in groups, students have to decide which elements to include in their model, and which elements to leave out. In the case of life expectancy, for example, students honed in on the effect of larger communities, which led to increases in both diseases and birthrates, students surmised. Willoughby has been incorporating more tools from Systems Dynamics into his classes over the past several years. Increasingly, he’s put the tools at the center of student work and seen improvements in critical thinking as a result. All models are wrong in the end. But some models are more useful than others. 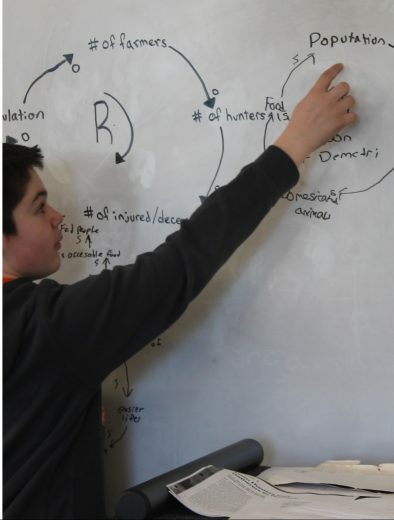 Last year, students used systems dynamics tools to model the impacts of Roman expansion, both positive and negative. The modeling project replaced an earlier project in which students delivered persuasive speeches. 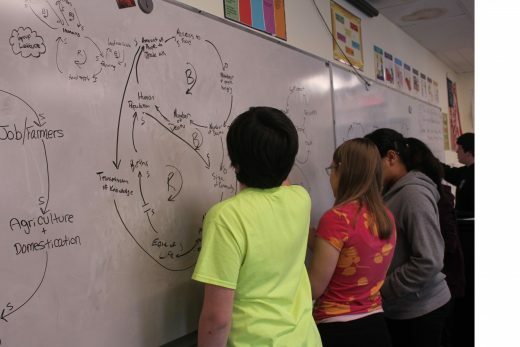 By modeling both positive and negative impacts, students built a more complex understanding of the historical content, an understanding they presented to other educators and Systems Thinking experts at the Dynamiquest conference last June. China in which students studied the 1-child policy. “Even though people know the birth rate is still higher than the death rate, there’s a tendency to assume if the birth rate comes down, the population will come down as well.” Modeling tools have helped Willoughby expose these kinds of common misconceptions and teach students to work past them.